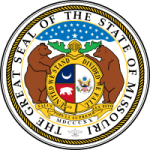 Missouri, unofficially known as the Show-Me-State, is the 21st largest state in the US nation. The State does not have a high population density, but is mildly dense and is ranked 18th among all the states and US territories in terms of population census. From plains to mountains and then forests, the Missouri has largely diverse and highly varied landscape and geography. Missouri signifies the confluence of the historical and cultural diversities of the nation. Aerospace, Food processing, chemical and light manufacturing industries build the economic pillars of the state. The health care industry oversteps many other industries in the top employers chart and is one of the major job providers in the state. The state has a high political significance and the history of playing a crucial role in deciding the presidential seat’s election. What is the Missouri Board of Nursing and when was it established? Missouri board of nursing is the administrative council, which enforces the statutes and regulations related to safe nursing in the state. Amongst the most important responsibilities of the Board is to ensure the safety of public health and welfare of all the Missourians. From retrospection of the various training programs to licensing of applicants through the certification examinations, the board takes care of all the decisions that are needed to be taken for any related issues. Board maintains the record of nursing programs and various health promotion operations running in the state. It develops and enforces state laws related to efficient and prolific nursing practice. The State board is aimed to promote the health status and clinical network in the state and renewal of licenses and acting on the abuse registry are also one of its responsibilities. The Missouri board of nursing consists of nine members who are held responsible for all decisions taken in the various Board Meetings during each calendar year. Board was established in the year 1909 with the enactment of the Nurse Practice Act and since then it has seen many changes. Missouri board of nursing is more commonly known as the Missouri Division of Professional Registration. The Division is the authoritative head on the various 39 sub divisions or the licensing boards in the state. More than 240 professions and trades are represented by these commissions and boards. The whole process of licensing and reviewing the performance of the nursing professional is done by collective effort from all sub divisions under the guidance of the MDPR. Role of MDPR in development of the state’s nursing programs is impeccable and invaluable.